87% off on Collage Canvas Prints | Promo Applied! Get all your fond memories printed onto our canvas collage and add life to your walls. 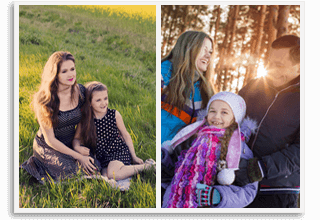 At CanvasChamp, we offer you a chance to relive your good days and moments by getting pictures printed on a photo collage. Our canvas collages look impressive and have the ability to make any wall instantly standout. 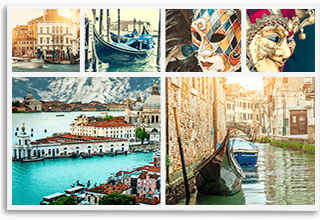 Whether you want to add elements of creativity and fun to your personal space or want to surprise a loved one, the photo collage canvas prints at CanvasChamp will be the perfect fit. These photo collages are perfect for those who want more than one picture to embrace their walls in the most exciting and jaw-dropping manner. When One Picture Is Not Enough, Choose Our Photo Collage! Sometimes one picture is not enough and sometimes you are unable to select the perfect picture for print. 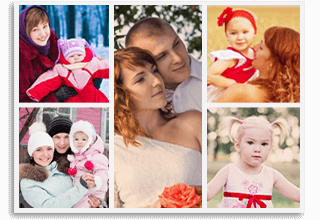 In times like these, we offer you customized canvas photo collage that can be printed with multiple images. You have the freedom to choose 36 pictures to go on your canvas, lifting pressure of selecting the best picture off of your shoulders. 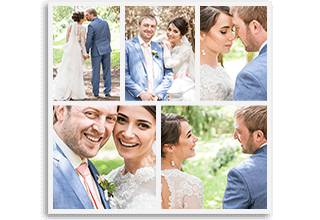 Our canvas photo collage is fully customisable, which means that you can choose your desired frame, print, material, design, and packaging. You can also customize the dimensions on your collage canvas prints with us. 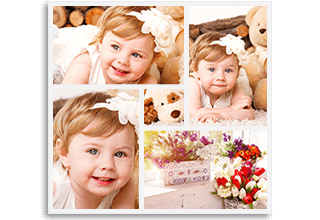 We also offer our customers complete control over their photo collage by giving them options to arrange pictures on the canvas and add personalised text for greater appeal. 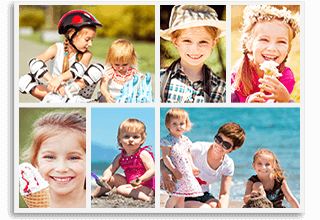 Make Your Walls Look Flawless With Our customized Canvas Photo Collage! Let your creativity flow by designing your very own canvas photo collage at CanvasChamp. 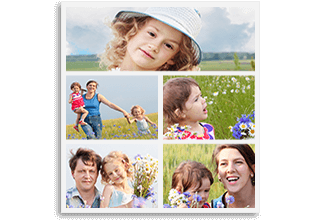 Although we offer a massive collection of photo collages that you can choose from, you can choose to customize your canvas photo frame in a few simple steps. 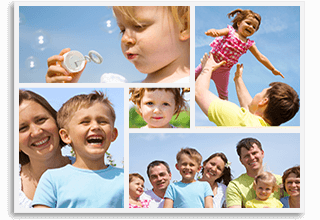 We have multiple editing tools available for your convenience so that you can easily make the changes you desire without any hassle. 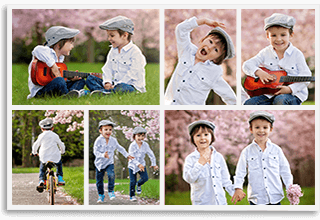 The best part about ordering your canvas photo collages from us is that we offer 100% guarantee on quality. 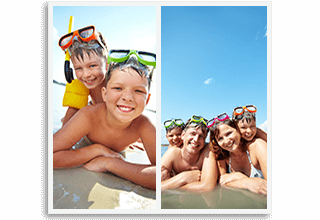 We also offer the lowest prices on our photo frames, which means that you can order as many as you like and get them delivered at your door steps. 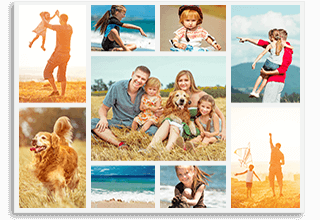 So, hurry up and order our customized canvas photo collages to add a spark of creativity to your walls in just a few simple steps! Q: What is the maximum pictures I can put in Collage? Q: Can I get a different background color in the shaped collage prints? A: You sure can ! 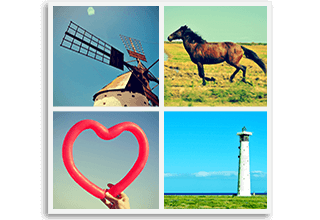 You can select any color of your choice for the background of a shaped collage print. Q: What is the minimum size of a photo collage? A: Minimum size depends on the number of pictures. 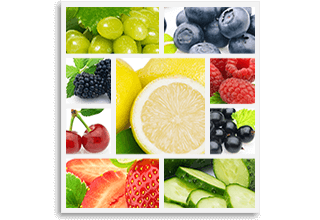 For example, a 10 pictures photo collage needs a minimum size of 24” x 24” to make it look good. Q: What goes on the side of my photo collage? A: You can go with any solid colors. We recommend the same color as the one in the grids of the collage. Q: What is the minimum and maximum no of images required for a photo collage? A: We can make a photo collage right from just 2 pictures to 150+ pictures! Q: Can I add a text on my photo collage? A: Yes you can add a text or a note on a photo collage. Q: Do you have frame options for photo collage? A: Yes we have several designer frames available from which you select through our website. Q: Will the final product look exactly like the image on my computer screen? A: We use top most industrial printing technology and all our printers are highly calibrated to achieve excellent outputs, so yes the product will look exactly like the one on your computer screen. Q: Can I design my own collage? 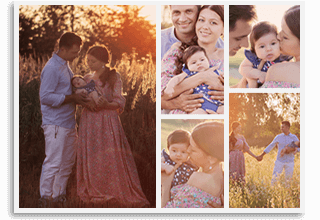 A: Yes we have a dedicated online designing tool for photo collage.